The Coachella Valley brings a great deal of tourism to Southern California, and snowbirds are among the most satisfied visitors. Spending the winter in this pleasantly warm desert region is a delight for several reasons—visit these Coachella Valley communties and you'll see why. The resort community of Palm Springs is first on our list, of course. The abundant natural beauty and fabulous resorts make it a snowbird's dream come true. Art shows, festivals and musical events are around every corner. Check out this article about RVing in Palm Springs, or peruse this story about the nearby canyons that visitors can explore. Indio is known as the city of festivals, due to the near-constant celebrations that seem to be going on there no matter when you visit. Winter brings snowbirds in droves to take part in the Indio International Tamale Festival, and they stay through February for the annual Riverside County Fair and National Date Festival. Check out this article about RVing in Indio. This central community offers fine shopping opportunities, arts and culture attractions, a zoo and botanical garden, and 350 sunny days a year—talk about a heavenly way to spend the "cold months." Check out this article about The Living Desert Zoo & Gardens, one of Palm Desert's most beloved attractions. Come to Cathedral City and check out the quirky restaurants, interesting shops and theatres. Athletes will get a kick out of the Big League Dreams Sports Park, where the fields are made to resemble scaled-down versions of larger, famous ball parks. There's also a recreation complex with go-karts, bumper boats, a rock wall and more. 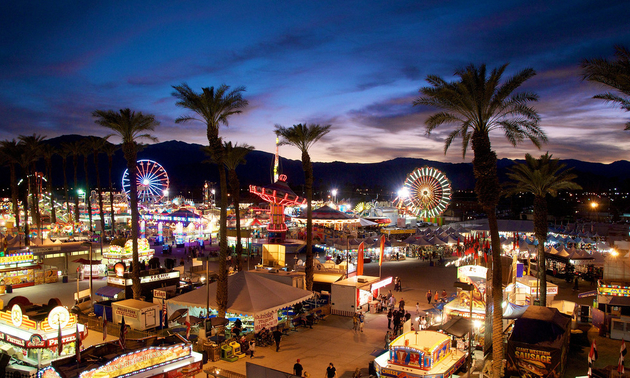 The city of Coachella is perhaps best known for its cuisine, casinos and cultural festivities. It's rumoured that once you try the authentic Mexican food here, you'll be compelled to return every year. This might be why Coachella is one of the most rapidly growing cities in California. Plan to attend the Cinco de Mayo and Mexican Independence Day celebrations, and shop at the weekly Saturday morning markets, with locally grown produce and other goods. 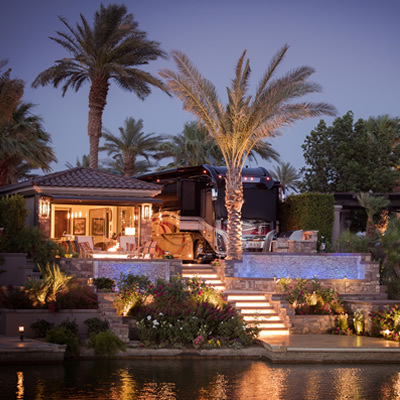 Indian Wells is a luxurious resort destination that has a private club feel and the amenities to match. The community was so impressive to former U.S. President Dwight Eisenhower, that after visiting in 1954, he chose Indian Wells to be his winter home. These days the community continues to thrive, offering art exhibitions, upscale shops and professional-grade golf courses. This is also where the fifth-largest tennis tournament in the world—the BNP Paribas Open—is hosted.